Thank you to George who is super sweet for nominating my blog to this Super Sweet Award. 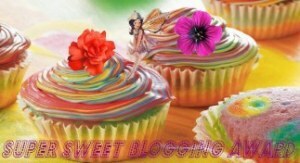 His blog site is: http://thebatamonblog.wordpress.com/2012/08/24/super-sweet-blogging-award/. He loves satay and peanut butter, among other things. Nominate other bloggers who you think deserve the award. Answer five simple but super sweet questions. And, finally, here are the questions with my answers below. A glorious day and a wonderful week to everyone in this beautiful world! Today is my daughter’s 20th birthday and I feel so blessed to have her in our lives. Charisse is a special daughter who makes us see the beauty of the simple things in life! Because of her, many things that we might have taken for granted, are very much appreciated. We thank God for all the blessings we have received and the blessings that are to come. We ask God to bless our beloved daughter, Charisse and the people who have helped us take care of her. 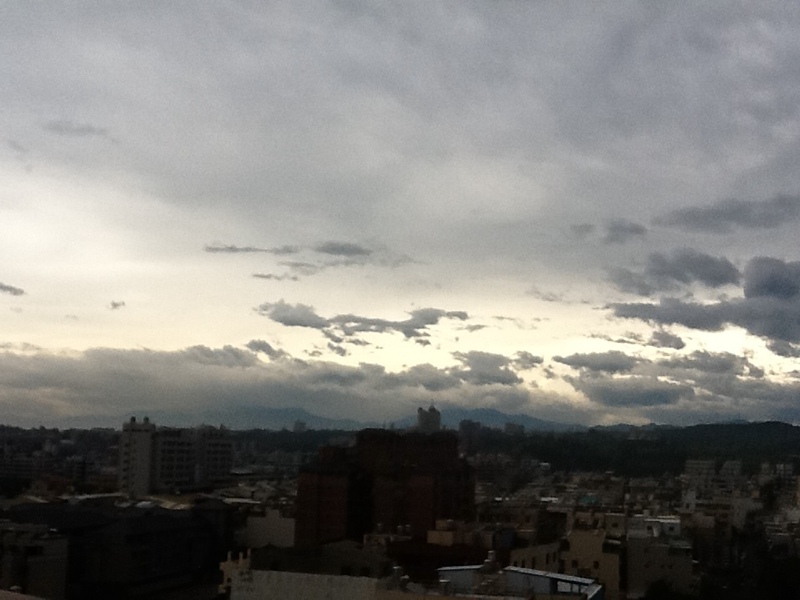 Typhoon Tembin is on the way and Taiwan is prepared. In the east, the winds are pretty strong already. 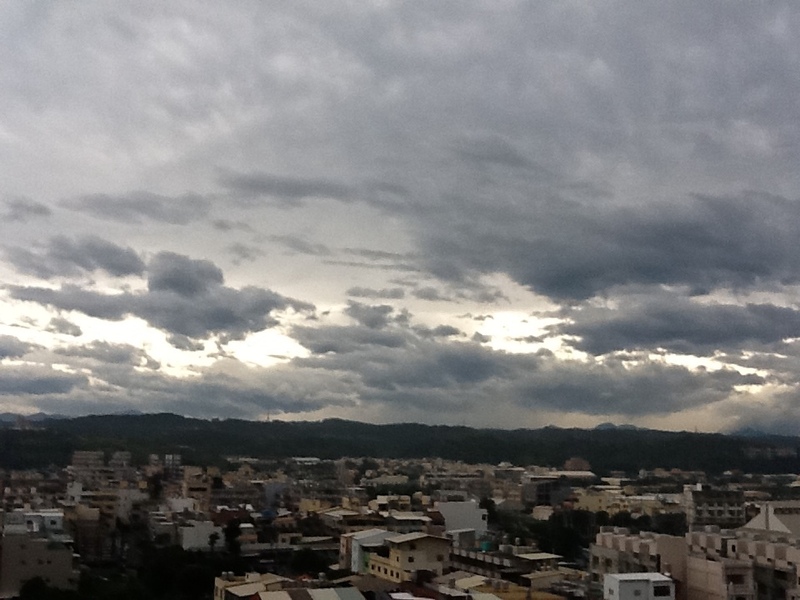 Classes in most cities are suspended. Flights both international and domestic will be cancelled after noon. 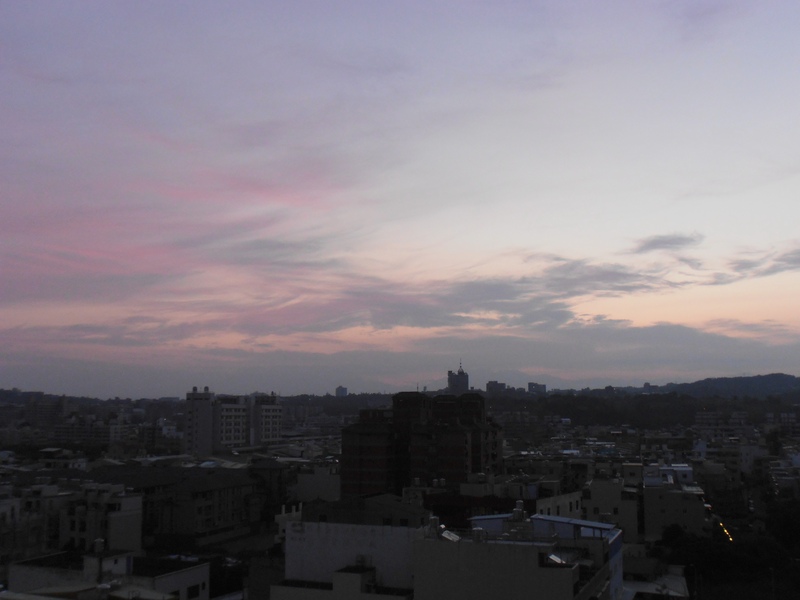 Below is a photo of the skies taken from our apartment. It’s like the calm before the storm. I just got back from buying extra fruits and vegetables. I looked at what other people were buying at the supermarket, and was dismayed to see cookies and instant noodles as well as soda and fruit juices in tetra paks. Since ghost month started in Taiwan, people buy all sorts of cookies, biscuits, sodas, and canned goods to use as offering to their ancestors. I am saddened because I can not just tell them outright that these are not good for their bodies, that these will ruin their health. I’m sorry to say that as I scanned the long lines going through check out, I was the only one buying fruits. I bought my vegetables from a local farmers market earlier. The fruit vendors did not come today, thus I had to go to the supermarket. In the days ahead, I pray to God to give me the opportunity to send a message out to as many people about the dangers of eating convenience and processed food. 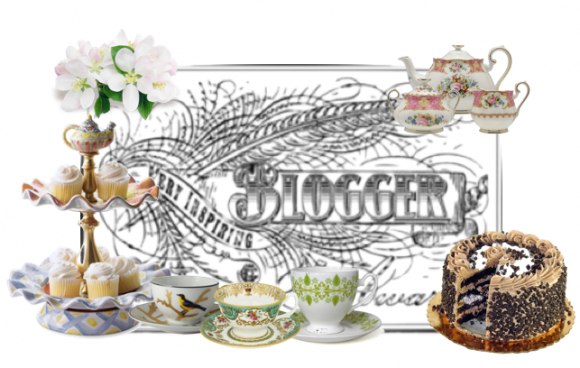 For nominating my blog to the Very Inspiring Blogger Award. I’m a psychiatrist turned entrepreneur, but being a wife and mom describes me best. 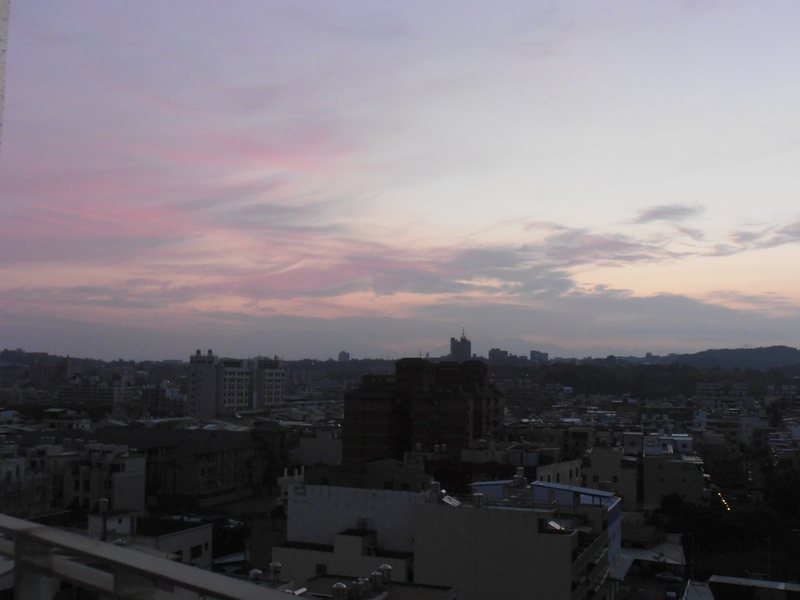 I followed my husband to Taiwan, but we want to move back to Iloilo in the near future. I only travel because of my business. My idea of a good time is curling up in my favorite massage chair and reading a good book. I enjoy discussing religion and other matters with my children. 1. Display the award logo somewhere on your blog. Congratulations to everyone! I really enjoy reading your posts, and thanks once again to Apple http://theappletizer.wordpress.com. I will be going on another trip and won’t be posting for a while. So, to my fellow bloggers and friends, have fun with whatever it is that you do! Thanks to Renee and Pallas for the Sunshine Award! 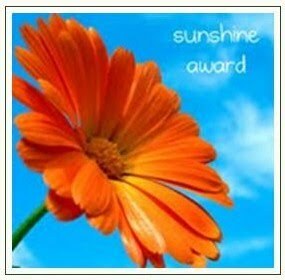 We would like to thank randpphotoalbums for nominating our blog the Sunshine Award! I love their photos about wide open spaces and nature at its best. New Zealand is on the top of the list of our places to visit. Thank you so much! Facebook or Twitter: I use Facebook only to keep in touch with family and special friends. There are some instances where I accepted a friend request and found their posts annoying. These are the ones who post everything about their lives except their trips to the bathroom. My passion: Reading, writing, helping others look and feel young. Jimmy and I were chatting about weight loss and how people go about trying to lose weight. We were sampling an audiobook by Gary Taubes entitled, “Why We Get Fat: and What To Do About It.” It’s a great book, and I think I will buy it. I’m just trying to decide whether I should get the audio book or the printed one. One thing we realized is that many people prefer to lose weight by eating less and exercising. This is the old and mistaken paradigm that has led society into a spiral of obesity of epidemic proportions. As early as the 1930’s during the Great Depression, when people did not have much to eat, the German pediatrician, Hilde Bruch observed the alarming increase in obesity in American children, when she arrived in New York. This story is mentioned in the book. Not a few people who asked about our program walked away saddened because they felt the price was not cheap. They decided to exercise instead. However, when one really considers the amount of time needed to lose weight with exercise, then one comes out relatively poorer. Let me explain. When we spend money to enroll in a weight management program that has been proven to achieve excellent results, it might seem that we are spending a lot. However, we can earn money, but we could never earn back the time we spend to travel to the gym, change our clothes, sweat it out for at least an hour, maybe hire a personal trainer, change into our street clothes and travel back to work or to our homes. We’ve done this before, and I don’t think I have the motivation to do it all over again, when I can lose my unwanted fats in the comfort of my home. I don’t like hourlong exercises. I like to walk and do a few toning exercises, but exercising to lose weight is not my cup of tea. But then again, to each his own. We have a friend who exercises two hours a day, come rain or shine. If it works for him, I have no problem with that. 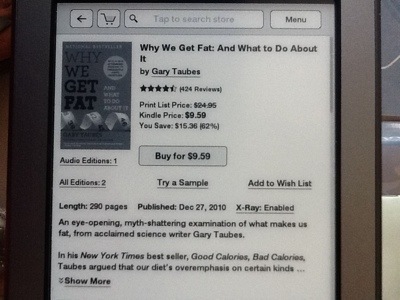 For more information on why people get fat, I suggest reviewing the book of Gary Taubes on Amazon. It’s going to change the way you feel about weight management. 1.) Have a conversation with God. 2.) 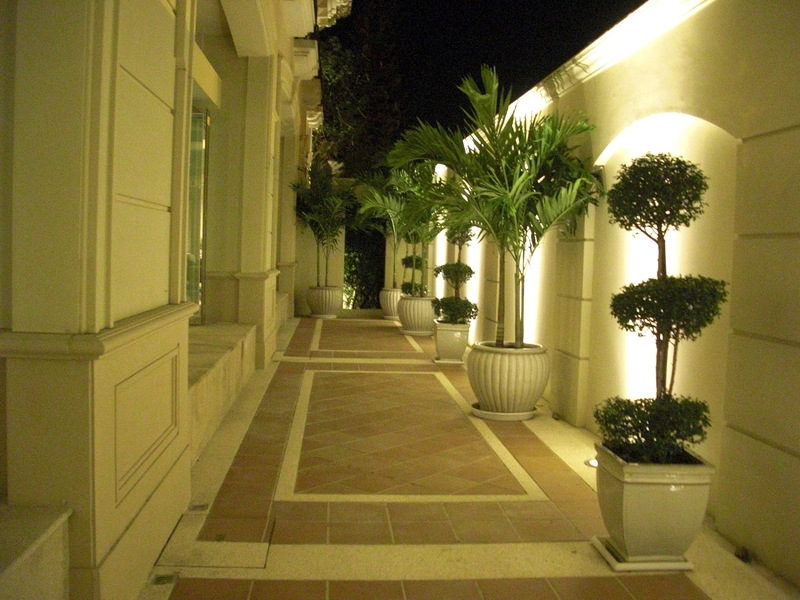 Pamper yourself…go to the spa. 3.) Call a good friend who doesn’t mind your calling her/him out of the blue. 4.) Make a list of people and things you are thankful for. 5.) Volunteer at the local hospital or an old folks home. Making other people happy will brighten your day. 6.) Perform a kind deed. 7.) Watch a rerun of a favorite movie. 8.) Read a good book…preferably one you read before and enjoyed. 9.) Tell a loved one that you love him/her and that life is so much better with him/her. 10.) Dress up and enjoy an afternoon tea all by yourself. Read a good book or listen to an audio book. Warning: Whatever you do, don’t stay in the house and eat ice cream or a box of chocolates. Furthermore, stay away from shopping malls. You might purchase something on the spur of the moment and regret it. Changing many undesirable habits all at once is like trying to hit several tennis balls simultaneously. It’s just impossible. The truth is, if we focus on just one habit at a time, our tiny success in overcoming the undesirable habit will enable us to cause a ripple effect such that we will eventually change other related, undesirable habits. When I was a child, I remember a story entitled, “The Magic Geranium.” It was about a woman whose house was very untidy, and who moped around the house all day long. (This is the description of a depressed person). One day, her friend gave her a geranium, telling her that it was magic. The woman did not believe in magic, but since she did not want to offend her friend, she put the flower in vase and poured water into the vase. Then, she sat down to look at it. While looking at the pretty flower, she realized that the table was too shabby, and decided to paint the table. Then, she painted the chairs, then the walls, and finally, she cleaned up the room. She cleaned the entire house, and even cooked dinner for her husband, something she has not done for a long time. The husband was quite surprised when he came home that night. “What happened?” He exclaimed. The woman answered, that it was all because of the magic geranium. In real life, this kind of transformation does not happen in a matter of hours. However, the concept is there. Changing just one undesirable habit will cause a chain of reactions that will lead to a better person and a better life. A little tweak of our eating habits can lead to better nutrition. Below is a suggestion for a meal. 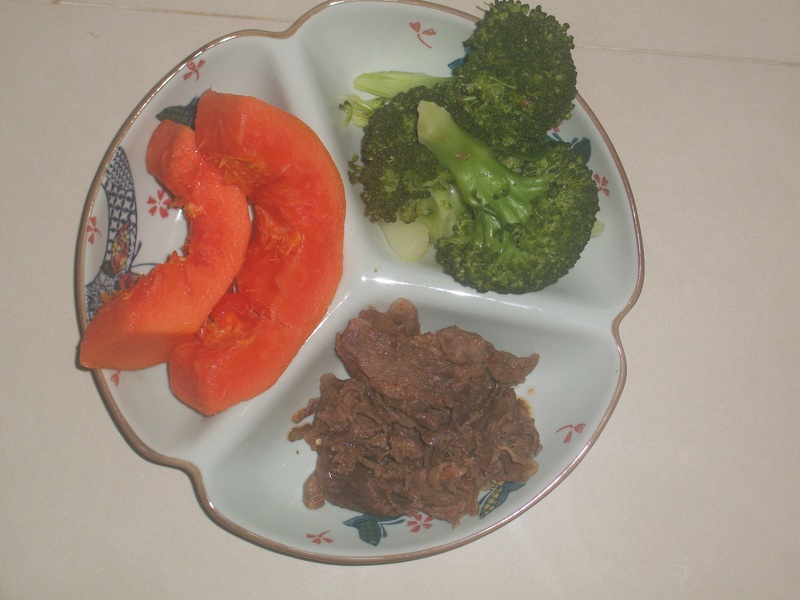 Just add good carbohydrates like brown rice or sweet potato (if you are not diabetic), and you’re good to go.